Last month Russell Finex presented their screening equipment at Symas 2015 in Krakow Poland. Symas 2015, in its 7th year, is part of the Solids European Series= and is designed for professionals from almost any sector including food & beverage, chemicals, building materials, agriculture or mining. At the show exhibitors presented a comprehensive array of technologies related to processing, reloading, transport, storage, sorting, filtering, separation, grinding and packaging of powders, granulates, aggregates and other bulk solids. 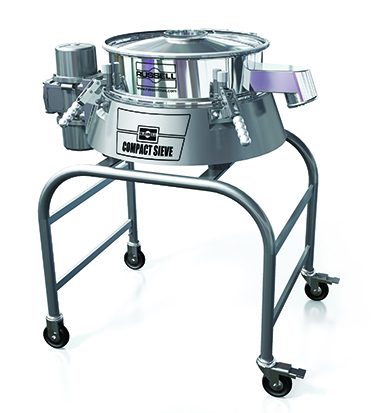 The Russell Compact Sieve® is a check screener designed to provide high capacity while only taking up minimum space. This machine has been applied in a wide range of industries such as food, chemicals, metallurgy and pharmaceuticals. Watch this animation of the Russell Compact Sieve® and see how this vibratory check screener provides you with a high throughput and a consistently sieved product. 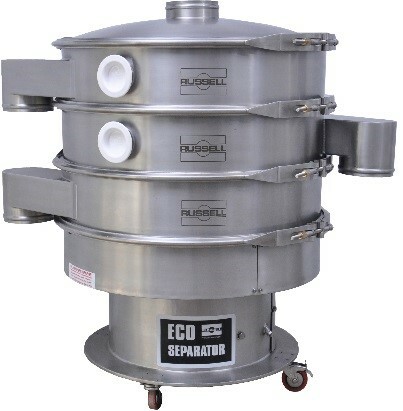 The Russell Eco Separator® is a cost effective grading sieve designed to grade wet or dry materials. Able to provide up to 5 product fractions with one single operation, this grading sieve is ideal for sizing, de-dusting or product recovery. Read more about this gyratory sifter and the benefits of installing the machine within your production process. The next exhibition for Russell Finex in Central Europe will be Salima 2016 which will be held in Brno, Czech Republic. The exhibition will take place from 17th - 20th February 2016. Would you like to receive more information about Russell Finex products? Contact Russell Finex for a consultation by contacting your local sales office.